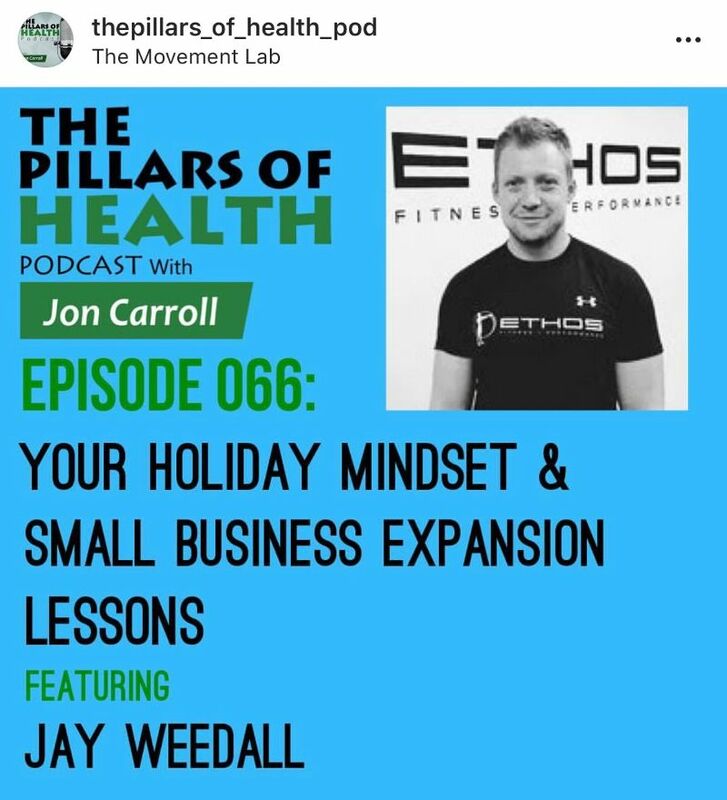 Our very own Coach Jay Weedall, co-owner of Ethos Fitness and Performance joins Pillars Of Health podcast host Jon Carroll for a holiday edition where he goes over his advice for the holiday season when it comes to training and eating and it is all geared towards shaping your mindset. In the second part of the interview Jay discusses the challenges of expanding as a gym owner and the lessons he has learned through the process. Click here to listen online or here to listen on iTunes to episode 066 of the Pillars Of Health Podcast. Follow The Pillars Of health Podcast here.